and a glass of caffeine, his brown eyes wide. 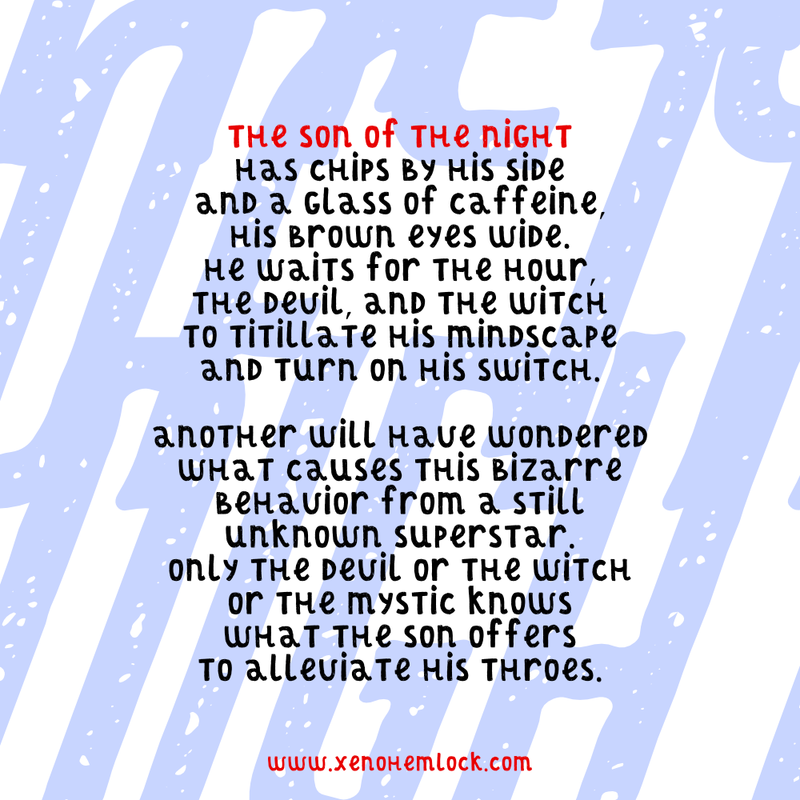 to titillate his mindscape and turn on his switch. behavior from a still unknown superstar. what the son offers to alleviate his throes.